Six reasons why your Cat hates fleas more than you do! Since the beginning of time, mammals everywhere have struggled in the fight against their miniscule mortal enemies known as Ctenocephalides, aka the FLEA. These little bloodsuckers are by far the most common parasite of cats and dogs today and they are also one of the most frustrating for pet owners to deal with. As much as we humans dislike fleas, there is one species in particular that hates fleas the most – your cat! 1.) Fleas are sneaky little devils. They will jump onto your unsuspecting cat while they are sunbathing on the deck/patio and wait to be carried inside your home. 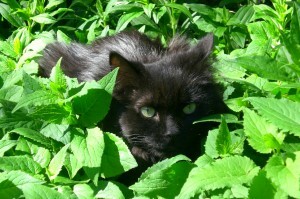 Even if your cat is outside on the deck for 5 seconds of the day they are at risk. Once a flea makes it inside, they will lay approximately100 eggs per day in your carpets, rugs, and even your bedding. 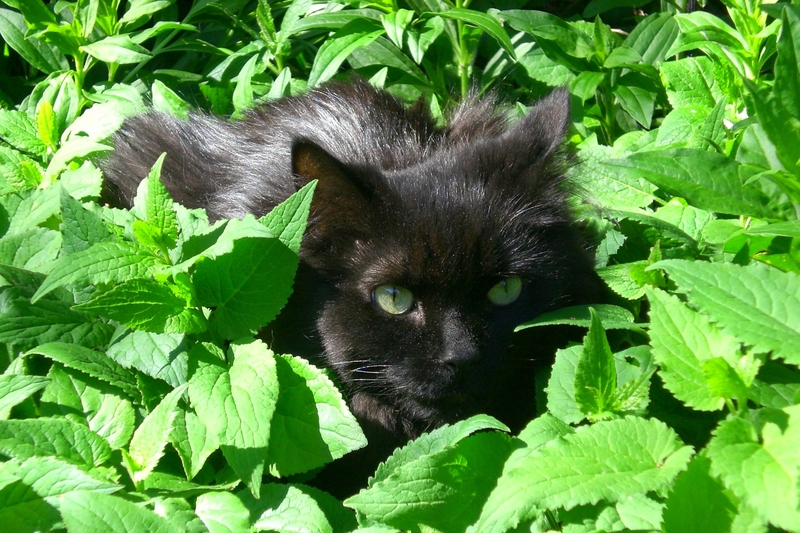 Not even the stealthiest of outdoor cats can hide from fleas! 2.) Fleas are disgusting, vile creatures. Baby fleas (aka larvae) grow by feasting on their parent’s feces (yuck!). As if that weren’t gross enough, mom and pop survive solely by sucking 15 times their bodyweight in cat blood per day. In heavily infested homes, adult fleas will even bite humans and cause an unsightly skin rash. 3.) Fleas are (quite literally!) disease-ridden, filthy, blood sucking parasites. 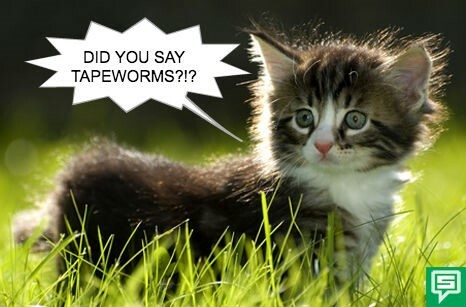 Have you ever heard of tapeworms? These giant worms are about the length of a cucumber and live inside our digestive tracts, consuming food as it passes them by. Dipylidium Caninum (aka the flea tapeworm) especially like to pray on our kitty cats and young children and are transmitted by fleas – gross! 4.) Fleas are NOT hypo-allergenic. In fact they are the opposite of hypo-allergenic. Fleas can actually cause your cat to develop allergies. Their saliva can cause a significant allergic reaction within the skin following a bite. This results in an intensely itchy skin problem called “Flea Allergy Dermatitis” or “FAD”, and is by far one of the most common dermatological issues in pets. 5.) Fleas are like teenagers at a high school party. The best flea treatments are prevention. 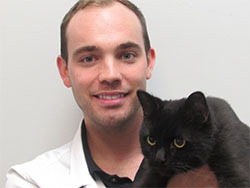 Veterinarians at Royal York Animal Hospital are constantly reviewing products. 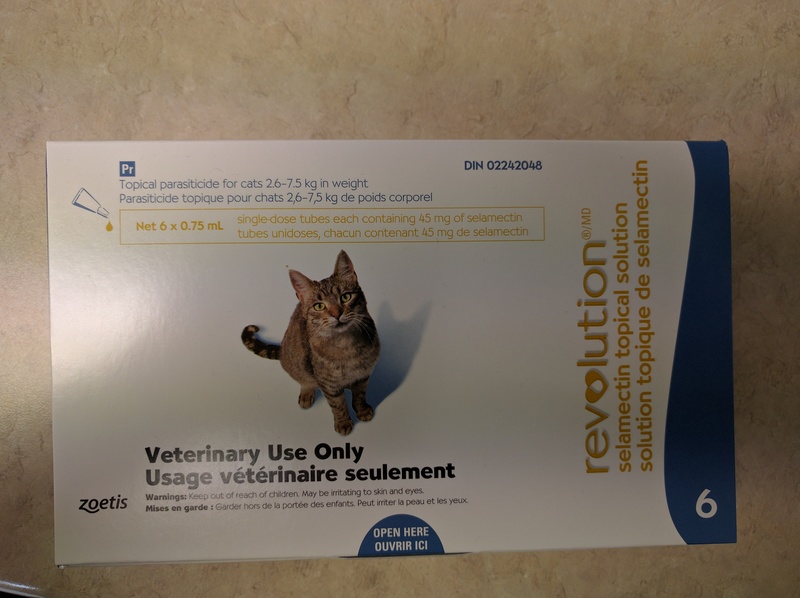 For cats,we recommend a product called Revolution, which is topical (applied to the back of the neck) and is only needed once per month. 6.) Fleas just can’t take a hint when it’s time for them to leave. Most people don’t realize it that it takes 90 days or more to fully rid your home of all life stages of fleas (ie adults, eggs, nymphs, and larvae). It’s easier for your and your cat the prevent the problem then to treat it. 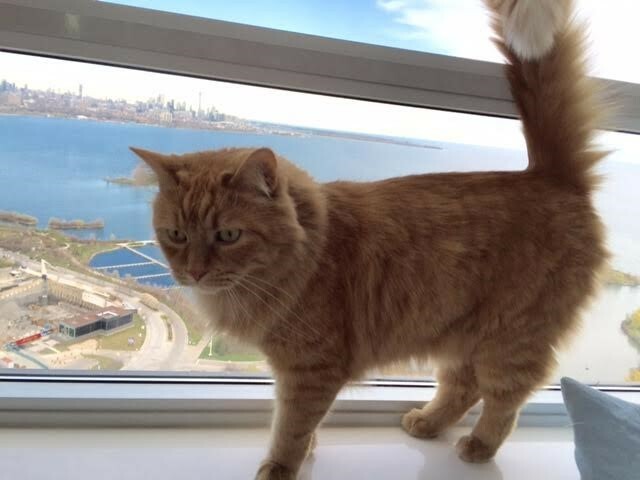 Even some condo cats (such as Dr. Zach’s cat “Spanky”) will require flea preventatives – depending on who they share the condo with !